← Dartmouth’s Rare Corpse Flower, “Morphy,” Is Getting Ready to Bloom Again! 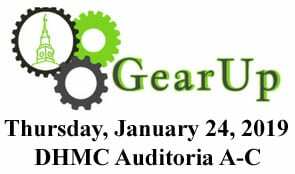 Gear Up For Research is an information fair designed to inform researchers of the resources, tools, and consultation services available from departments across Dartmouth. Join us on Thursday, January 24 from 2:00 pm – 4:00 pm at DHMC in Auditoria A-C, to learn about how Dartmouth College and Dartmouth-Hitchcock Medical Center can assist you in with your research, from proposal submission to publication.